Silver has valuable industrial properties as well as financial. Like gold, silver hedges the dollar's weaknesses. Apart from gold though, silver has exceptional physical properties that give it a higher industrial demand. 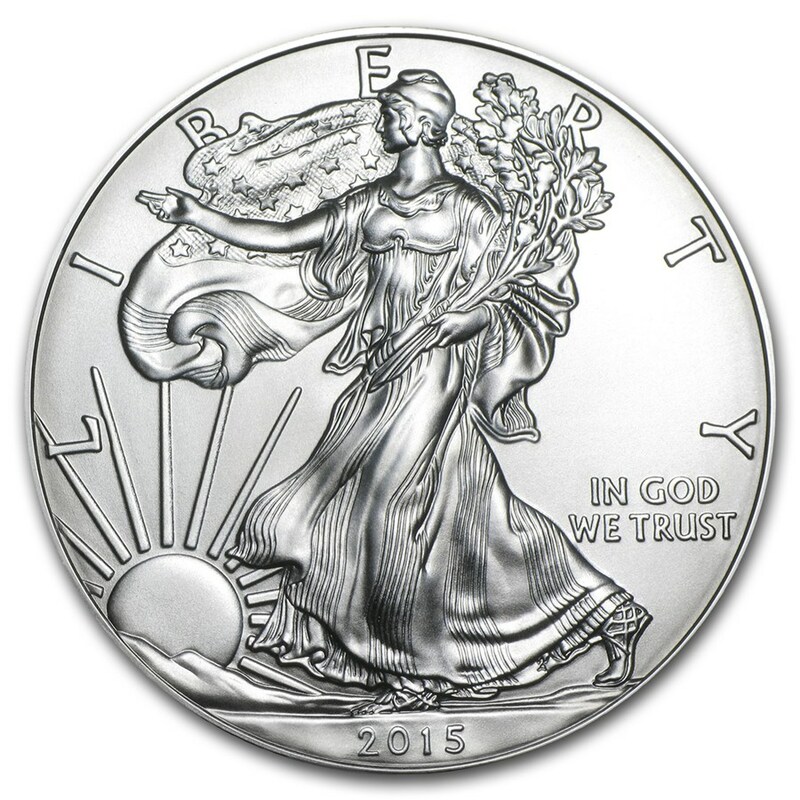 With 1 oz of pure U.S. Silver and a beautiful patriotic design, the Silver American Eagle has become the most popular bullion coin in the United States. 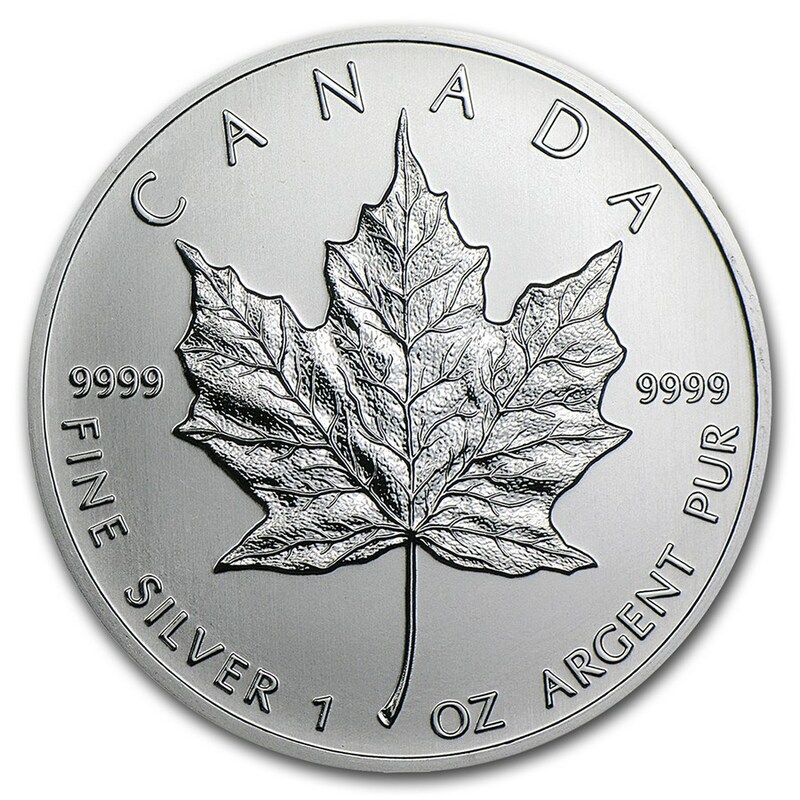 The Silver Canadian Maple Leaf is considered one of the most beautiful Silver coins in the world, with a classic design and high .9999 fine Silver bullion content. 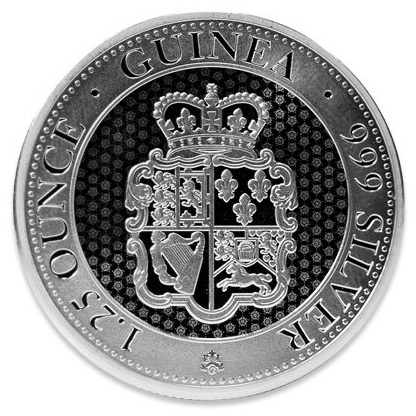 These coins are loved by collectors and investors worldwide. The Rose Crown Shield 1.25 ounce silver coin in Brilliant Uncirculated Coin. It's one of the world’s most respected gold coinages in history carrying with it a reputation of trust and purity. 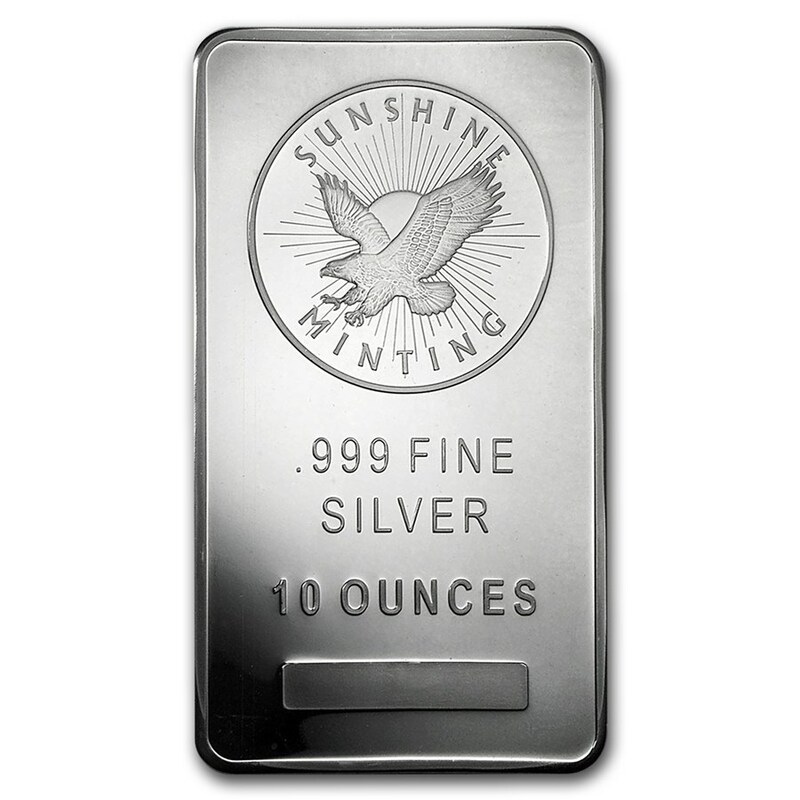 10 oz Silver bars are an ideal way to add to your Silver holdings, and secondary market Silver bars can often be purchased at a lower premium than brand new bars. Each Silver bar is tested for Silver content and purity. 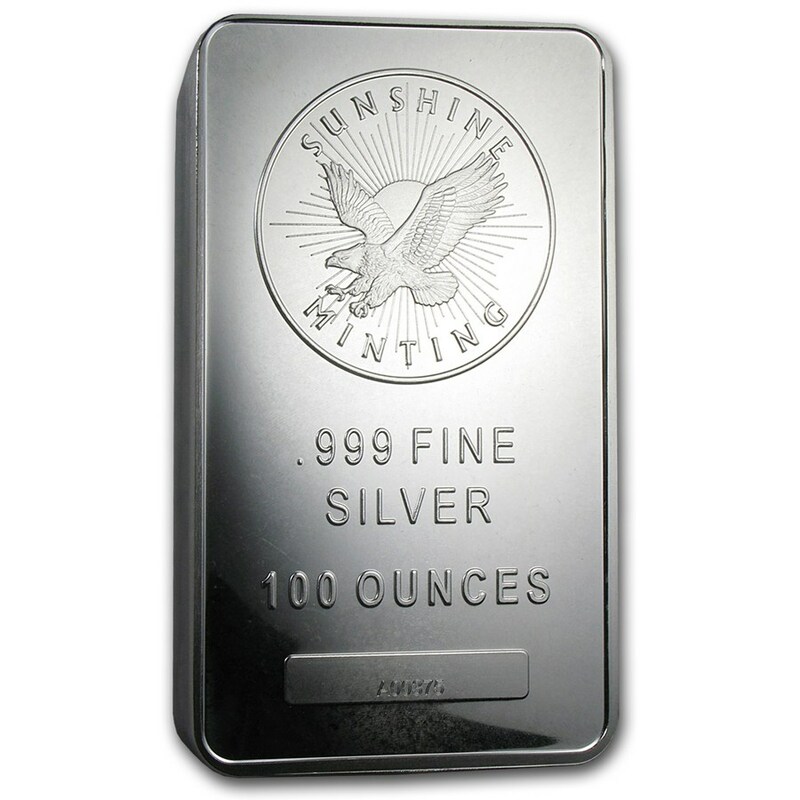 100 oz Silver bars are an ideal way to add to your Silver holdings, and secondary market Silver bars can often be purchased at a lower premium than brand new bars. Each Silver bar is tested for Silver content and purity. Silver has a lesser value-to-weight than gold. This makes it perfect for smaller-scale transactions, like everyday shopping and/or bartering. When the dollar falls, will you have spending currency?